Some European teenagers are getting kicked off WhatsApp. The messaging platform, which is owned by Facebook (FB), is hiking its minimum user age in Europe to 16 from 13 in order to comply with a tough new data privacy law. The lower age threshold remains in place for the rest of the world. 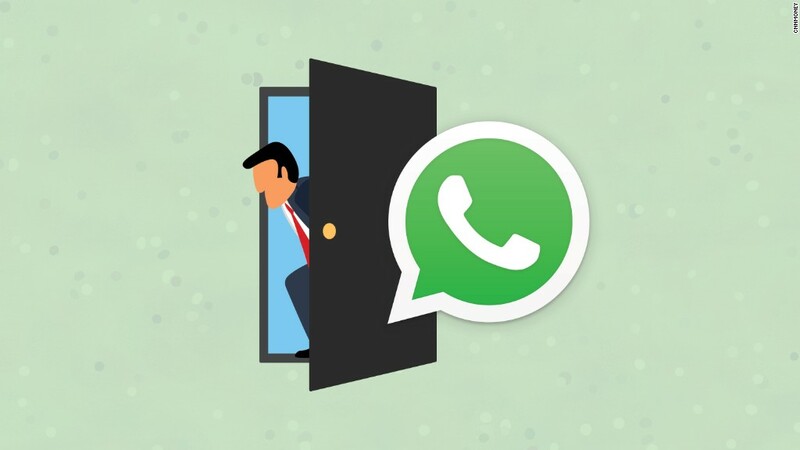 WhatsApp said it was updating its terms of service in the European Union before the General Data Protection Regulation (GDPR) comes into effect on May 25. "We had to make a tradeoff between collecting more information or deciding to keep it simple and raise the minimum age of users to 16 across Europe," WhatsApp said in a statement. GDPR seeks to expand and update data rules that have been in place in Europe since 1995 -- long before hacks, security breaches and data leaks became a common occurrence. The rules give Europeans more control over their personal data. Companies must obtain an individual's consent in order to store and process personal data and won't be allowed to hold data for longer than is necessary. GDPR also requires companies handling the personal data of anyone under the age of 16 to receive consent from a parent or guardian. They must make "reasonable efforts to verify" user ages, "taking into consideration available technology." WhatsApp said that it would ask European users to confirm they are at least 16 years old. It won't ask for precise birth dates. The company has said that providing false information violates its terms, and users can be banned as a result. Changes are also coming to Facebook. A company spokesperson said that users between the ages of 13 and 15 in some EU countries will need permission from a parent or guardian to use some of the platform's features. "These teens will see a less personalized version of Facebook with restricted sharing and less relevant ads until they get permission from a parent or guardian to use all aspects of Facebook," the company said in a statement. Other tech companies have not yet announced how will they adapt to the new rules. Google (GOOGL), Twitter (TWTR) and Snapchat (SNAP) did not respond to requests for comment. Spotify (SPOT) declined to comment.